Xbox is one of the most demanding gaming consoles of all time. Competing with the likes of PlayStation, Nintendo and PC games, Xbox has achieved considerable success in the gaming industry.The Xbox 360 and Xbox One store is known for its regional restrictions and varying game release dates. If you’ve been a victim of a beta release you couldn’t access, you will feel the pain I felt. But, that’s all in the past, it’s the age of the Best VPN now you can access all Xbox stores with a single tweak and get latest beta releases and region restricted early game releases even if they are geo-restricted. The following Xbox One VPN guide will teach you how to setup a VPN in order to stream and play countless multiplayer games. A VPN allows you to hide behind an IP address from a particular country and virtually change your location to that region. This allows full feature access letting you buy games and trial beta releases without having to worry about geo-blocks. The cherry on top you can simply configure the VPN directly on your router and even on your Xbox consoles. How to use VPN on Xbox One? Before telling you how to setup and use a Xbox One VPN, you need to know why you should setup on your Xbox One. VPNs have become really popular in the past few years because people have started to realize that their true potential is far bigger than what we thought it is. Yes, VPNs are great for protecting your anonymity online, but they are not just restricted to that as they can deliver some great advantages depending on the OS or device you are using. On Xbox One, which is a gaming console, installing a VPN can allow you to actually reduce lag substantially because many VPN providers now provide exclusive gaming servers just for serving this purpose. And it just doesn’t end there, a VPN can also save you from DDoS attacks by angry opponents while engaged in an online duel on your favourite game on Xbox One. It can even be used to unblock geo-restricted gaming sites like Steam and secure to newly released games in your region much earlier than it becomes available, thereby putting you at a fair advantage in your gaming circle. If you have a Xbox One VPN on it, your gaming experience will definitely get optimized and your performance will stand substantially improved. But, setting up a VPN on your Xbox One can be a long process due to the absence of compatible apps for this platform. VPNs do offer their native client apps for platforms such as Windows and Android, but still there is no such dedicated support for niche devices like Xbox One. We strongly recommend users that they setup a VPN on their router to automatically get a VPN secured connection routed to all of their devices, thereby eliminating the need to individually install the VPN on each device. Every router is different and so its VPN installation process. You need to either purchase a VPN enabled router that is offered by providers like ExpressVPN, or go for a VPN subscription and then ask its live chat support to help you setup the VPN on your router. Now restart your Xbox One and your console will start working through a VPN enable internet connection! There are two main techniques through which you can setup a VPN on your Xbox 360 and Xbox One. Setup VPN on your router and connect your Xbox and other devices through it. Setup VPN on your computer and share the connection with your Xbox. Now that you know the many reasons why to use a VPN for Xbox One and Xbox 360, here is our guide to setting up the service on your console. We will try to keep the guide as simple as possible, and make sure that you can easily set it up without requiring any technical abilities. One of the methods of setting up Xbox One VPN is by tunneling your service via router and then connecting your gaming console and other devices to the router. 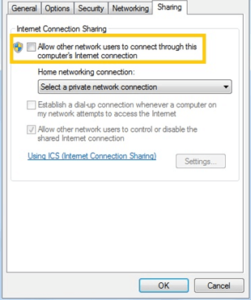 Note that the setup may vary according to the router you use and the instructions provided by the VPN provider. You need an Ethernet cable and connect your modem to the WAN port in the router. Open your Router’s Control Panel – accessible from your system control panel. Go to the ‘Basic Setup’ / ‘Network’ / ‘Basic’ tab in your router control panel (where you can configure WAN or Internet settings). Enter the setup details provided by your VPN provider (username, password, gateway, subnet mask, etc.). Select the appropriate protocol settings and the change the ‘Connection Type’ based on your router and VPN providers instructions (usually to PPTP, but it depends). Select the appropriate DCHP settings depending on the requirements by your VPN provider. Click the Apply Settings / Save / Connect button and you are done. Now you can connect your Xbox to the router either through Wi-Fi or through Ethernet cable and can enjoy using VPN on your Xbox 360 or Xbox One. You can also configure a VPN service on your Xbox through sharing the VPN connection on your personal computer with the gaming console. 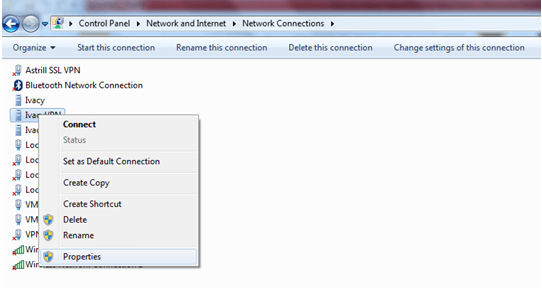 Go to ‘Network and Sharing Center’ from your system’s Control Panel. Click on ‘Setup a New Connection or Network’ and a wizard will appear. Select ‘Connect to a Workplace’ and click ‘Next’. The wizard will ask ‘how do you want to connect?’- select ‘Use my Internet Connection (VPN)’. Next, you will have to enter the Internet Address and Destination Name provided by your VPN provider. Enter the details and click ‘Next’. Now enter the Username and Password of your VPN service and click ‘Connect’. A VPN subscription, try one of our tested services listed above. Once all essentials are in order, let’s setup OpenVPN on your Xbox One using connection sharing. 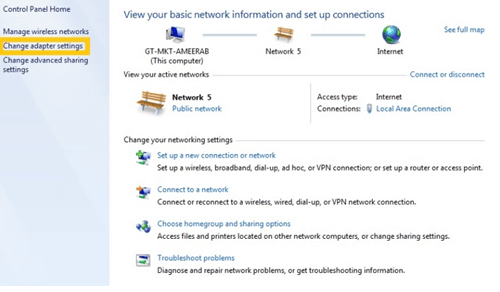 Click the Home Networking Connection drop-down list and choose your Internet Connection. 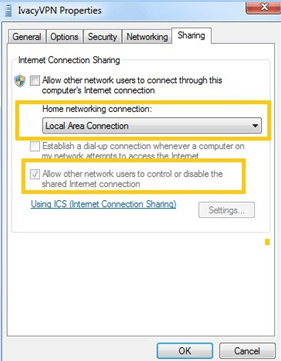 Also, uncheck the “Allow other network users to control or disable the shared internet connection option” if it is already checked. A VPN which is not famous at all for offering great speeds surprised me with its speed test results. 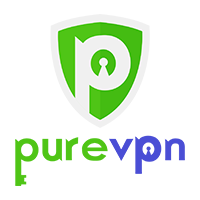 PureVPN is a VPN you would least opt for if you are looking for a VPN that is good for Xbox one/360 and that’s because PureVPN usually offered very bad speeds and ping rates to be considered worthy for the purpose. But, this time around, PureVPN fared much better. So good that it had to be featured in our Best VPN for Gaming list. PureVPN’s speeds were just spectacular on the New Jersey servers, recording a wastage of less than 15% on the speed tests, which is phenomenal. PureVPN has upped its game quite seriously in the past few months and it shows in its performance. But there are still a few chinks in the armor, like when I asked its chat support for the best server for xbox one and 360, they just suggested me a certain mode to use, no detailed answer, no personalization, no nothing. They are improving as a service but still, there is a long way to go to make their service the best in the business. Performance wise, PureVPN was just great, but for support, the less said the better. While we do already included a list of the Best VPNs for Xbox One in this guide earlier, there is one VPN that you can definitely try out for your Xbox 360 as well and that is Surfshark. Yes, this VPN is way smaller in size and features as compared to the providers mentioned in our list above, but still its performance in terms of speed and ping rate is good enough to be included as a standalone service that you can certainly consider as VPN for your device. The speed test results were just phenomenal to begin with. 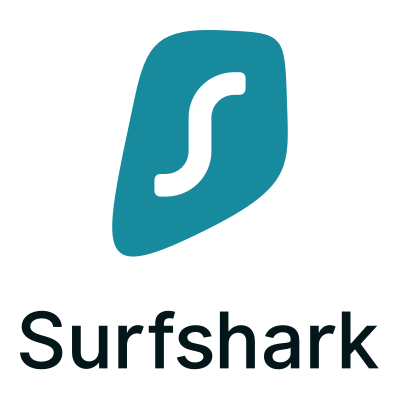 With just over 14% reduction in download speed and almost 17% reduction in Upload speed, Surfshark is way better than even the best of the VPNs out there, making it a primer when it comes to a Xbox one VPN. Even the ping rate was good enough and won’t generate much lag. On your Xbox One, Surfshark can be a great companion if you are looking for some great speeds along with a bearable ping rate. 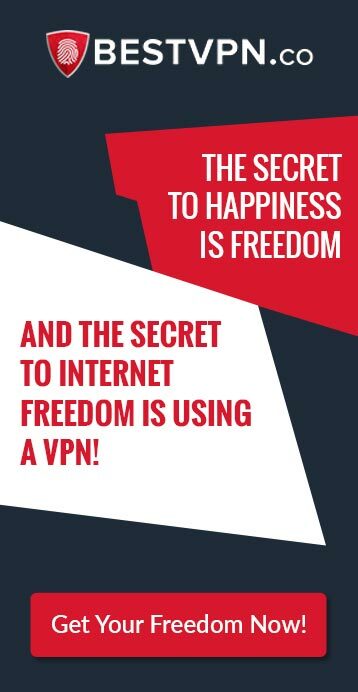 ExpressVPN is one of the most revered privacy providers in the world established with a great service offering powered by its very loyal fan base. While there is no equal to Express VPN when it comes to online streaming & live IPTV, the service doesn’t work all that well with gaming. I tested the ExpressVPN on my Xbox One for Destiny the multiplayer FPS that has been making headlines since 2014, and my experience, APPALLING. I tried Destiny with servers in the Netherlands, UK, Korea, and USA. The best ping test was 170ms over a very fast broadband connection, considering I was using ExpressVPN’s P2P servers I anticipated better ping. This, however, has nothing to do with ExpressVPN, the essence of a gaming Xbox One VPN is in the security and network topologies used to transfer the data between two devices. Since I am miles away from Europe the experience was bound to be very poor. This is one VPN service that doesn’t disappoint at all ever and that’s exactly why you will find it in every single best VPN list out there. And here too, ExpressVPN came out with all guns blazing. As is evident from the speed test results, ExpressVPN is perhaps the best VPN for Xbox one of any other kind out there. It offered the best speeds while I was playing Red Dead Redemption 2 and there was very little lag, which allowed me to experience superior gaming performance for almost 2 hours straight. The speeds might look a bit slow to you, but for gaming, even a 21% reduction is in the excellent range. 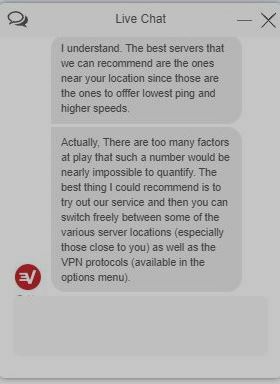 I also asked ExpressVPN’s live chat support before starting off and the support exec gave me a reply which was very satisfying. 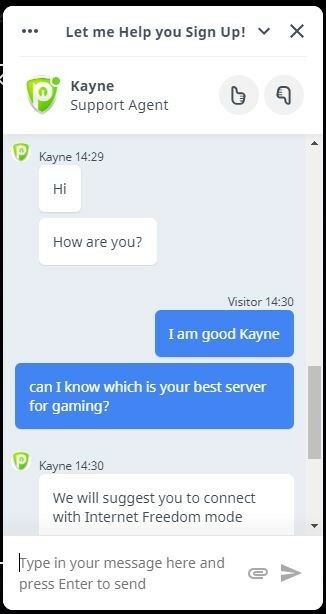 The support exec explained that there is no best server for gaming as there are a lot of factors involved in it like protocols etc, and it was right bang on. I kept trying to find a good enough server before I finally got connected to one in Wichita, Kansas which offered me the best speeds out of the whole lot. The provider’s results were a tad bit disappointing considering its high standards, but still they are in the top tier when it comes to all the VPNs we tested out for this purpose before coming up with list of Best Gaming VPNs. The speeds loss was just below 32% which is good on average. 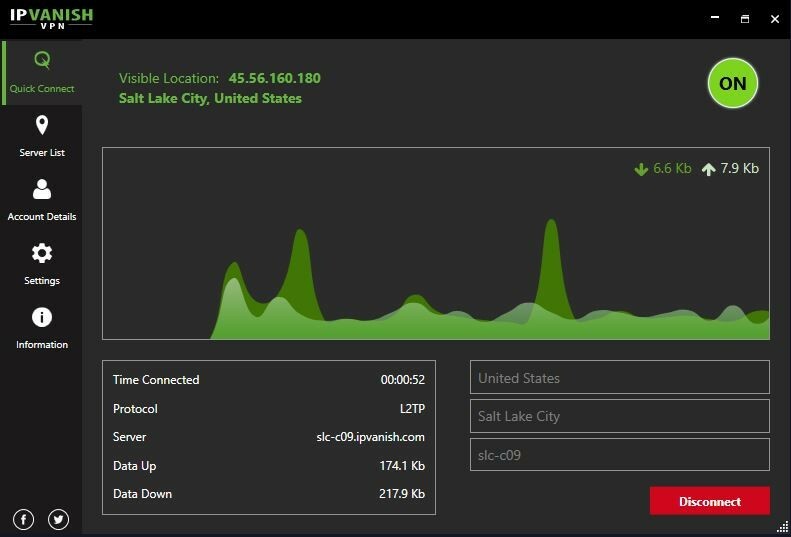 Its certainly not excellent but its still quite acceptable and combine that with the stability of the connection and mild ping rate of 74 Ms and you are in on a very reliable Xbox one VPN through NordVPN. The least preferable of all of these VPNs is IPVanish as its speeds scored the last place among all the Top 5 VPNs that we tested. Yes, its better than the rest of the hundreds of VPNs out there when it comes to xbox one and 360 consoles, but if you want the best, then IPVanish should be given a pass. Recording a speed loss of more than 42%, with a high variance between download and upload speeds, IPVanish cause immense disappointment to us.. Another major flaw here was that the client showed us that we are connected to “Salt Lake City” but our speed test showed that we were connected to Enid, Oklahoma. This is a serious error on part of the service and even if they are redirecting us to another server because one of them is down, they should notify us with it through a text update notice on the client or on the member’s login area of their website. You would generally expect Reddit to be full of threads of all kinds but the platform doesn’t offer much discussion or threads when it comes to checking out user opinions on best VPN reddit for niche devices like the Xbox. When we searched for Xbox One VPN on Reddit, we never came across any suggestions on which VPN is better for the platform, rather, all we got was some vague questions on whether the device supports a VPN or not. Comment from discussion icedearth15324’s comment from discussion "Vpn on xbox one?". Comment from discussion prnykhtr’s comment from discussion "Vpn on xbox one?". Here is a real time test of how I was successfully able to unblock Netflix US on my Xbox One through ExpressVPN. I chose ExpressVPN because it is one of those few VPN services whose every US server works with Netflix, so I connected to its New York Server for the purpose of this test. This is ExpressVPN’s Windows client. I shared my VPN connection through my Windows device to my Xbox One device, but you can also do it by setting it up on your Router as well. 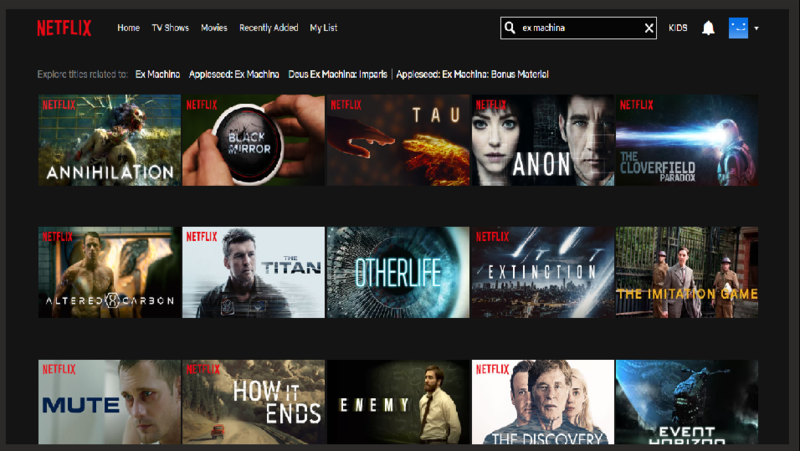 Coming back to unblocking Netflix US, I first searched for Ex Machina which is a popular sci-fi movie that is only available in the US content library of Netflix. The results, obviously, didn’t bring the movie up in the results when the VPN was off. You can also use this movie to check whether your VPN is powering you through to the US library or not. Then I connected to the ExpressVPN’s New York Server, closed down Netflix, re-opened it again, searched for Ex Machina and the movie was in the search results this time. 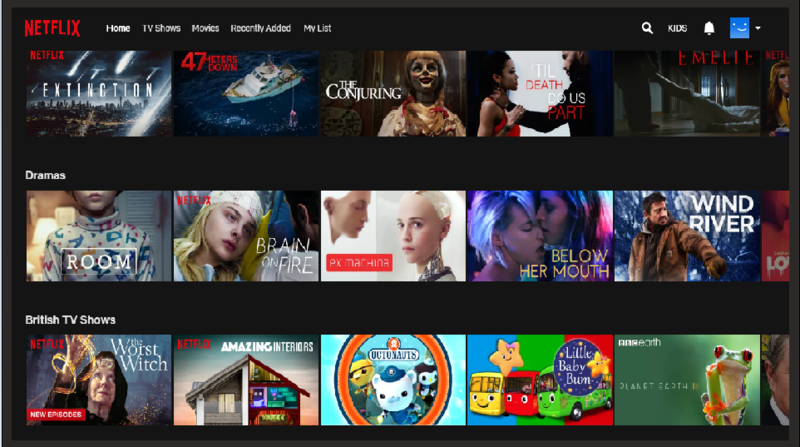 For users looking to watch movies and other content files from Netflix US on their Xbox One devices, I would advise that they should only opt for VPN services that are top tier so that they can have all sorts of multiple options when it comes to setting up a VPN connection on such a niche device. If my Windows VPN sharing method wouldn’t have worked, ExpressVPN also offers me some great troubleshooting guides and setup guides for many different kinds of routers, so I wouldn’t have had any sort of problems in setting up the VPN on it. If I still would have had any problems, I had the provider’s live chat support to fall back on for assistance. ExpressVPN also offers Smart DNS service, which is also a great way to power through unblocking for streaming sites on niche devices like Xbox One, Firestick etc. Do not go for smaller services ever if you are planning on or have already invested in such a niche device. Gamers also wish to change their default Xbox store location to buy games and cash in on limited time offers. Begin by connecting your Xbox One or Xbox 360 console to your flashed router according to the guide provided above. The next step requires that you create a Revolut Payment Account. With Revolut you can make payments easily with credit or debit card using a valid mailing address and spam your location to a particular location. You can add money to your Revolut account using your own debit card or PayPal account. Gamers may also receive $10 gift cards when pre-ordering specific titles. There are titles that are initially released only in the US store and gamers can purchase and download these titles with a VPN and changing their Xbox Store location. Before we go ahead and explain the procedure of setting up VPN on your Xbox 360 and Xbox One, many advantages of using an Xbox VPN is given below. For starters, there are numerous notorious players out there who are trying to take advantage by attacking your network with DDoS attacks. This is usually done during live tournaments in order to clear the path for victory – however, you can protect yourself from such unethical attacks using Xbox 360 and xbox one loopholes. Similarly, cybercriminals look to take advantage of your sensitive information when you are connected to Xbox Live. Imagine someone using your account to purchase latest gaming titles and then gifting them to themselves (mind you, they aren’t cheap). I know that I would be outraged – but through the security protocols and data encryption, you can protect yourself using a VPN for Xbox. Using a VPN for Xbox, you can overcome these restrictions and easily access all the geo-restricted content. This is especially helpful if your Xbox is used as the main hub for all your media streaming. Web content like Netflix, Hulu, Amazon Prime, BBC iPlayer, Pandora, etc. 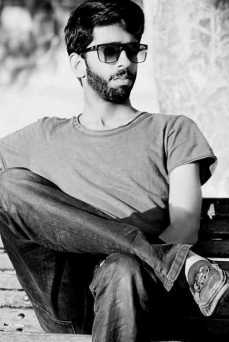 can all be accessed using a VPN. Lastly, you can test out your gaming skills all around with world with the help of Xbox One VPN. By lifting the geo restrictions, you will be able to play in almost every location on the planet, against all sorts of players around the world. The lure of the Free just doesn’t die down, but as they say “There are no free lunches in this world”, similarly, Free VPNs might look enticing but they are not just good enough to be the right choice for your Xbox One console or for most of your other devices. It takes a high amount of money and resources to keep a VPN in top quality, so obviously Free VPNs cant match up to Paid services in any facet of service whether be it performance, compatibility or even security. And nowadays, Free VPNs are being used as honeycombs in order to attract unsuspecting users and then deprive them of their personal and official data, invade their devices by planting malware codes in to them among other security compromises. For your console, Free VPNs are just worth the trouble seriously, because neither can they prevent lagging nor they can offer fast speeds. Go for paid service, especially if you have niche device such a Xbox One, which requires stellar credibility and top of the line performance from a VPN. Kodi is a home entertainment software that can amplify the experience you get of your Xbox One console. Through Kodi, you can watch anything from the latest UFC fights to live football matches and from the latest movies to news broadcasts on your Xbox. Kodi allows you to do all of this through its official and unofficial add-ons which number in the hundreds thereby offering you ample choice in terms of the content you can watch. Kodi is now done installing on your Xbox One! Start enjoying the content on your hands by going through all the major add-ons! One thing that you need to be mindful of here is that if you are going to use Kodi’s unofficial add-ons that can publish copyrighted content at times, then you should be deploying a Kodi VPN to keep yourself from getting any sort of legal or financial notices. If you do get a VPN, it can also double to counter the geo-restrictions on many add-ons as well! To sum everything up, an Xbox 360 and Xbox One VPN will protect you from many threats and help you enjoy an unparallel gaming experience. It will allow you to compete in online tournaments without the risk of being cheated by other competitors and access geo-restricted content. Our guide will help you select the best VPN for Xbox One and Xbox 360 and how to setup VPN service on your gaming console. There are many guides available out there and to be honest, all of them are highly technical and very difficult to comprehend. In light of that, our guide is simple, quick, and easy to use – allowing you to setup VPN on Xbox One or Xbox 360 through either of the two ways and experience the true benefits of Xbox One VPN. I cannot get my Xbox one to connect to the VPN via internet sharing even after following all the steps correctly. Am I missing something? We would like to know as to what notification are you getting at the problem stage? I was furious when I saw a restriction message on a game I bought for Steam. Raged about it to my friends and one of them told me it works for him with Nordvpn. I had to give it a go and of course it worked. Still using nord on my xbox to this day. I really like the name “WakeandBake” haha Thanks for commenting here and giving a positive review, it helps us at BestVPN.co rank different providers better. 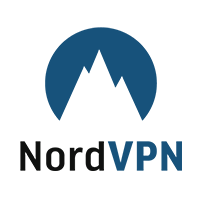 Indeed NordVPN is one of the best services in the marketplace currently, and offers great speeds and unblocking capabilities.